I love seeing what my customers do with the fabrics I sell. Some turn them into personal diversions, while others use them in their own craft businesses. Here are a few that have been shared with me. Fun bibs, happi coats, and accessories for babies, made using yukata and organic cotton fabrics. Queen Bee Essentials – Handbags and accessories made from vibrant fabrics. 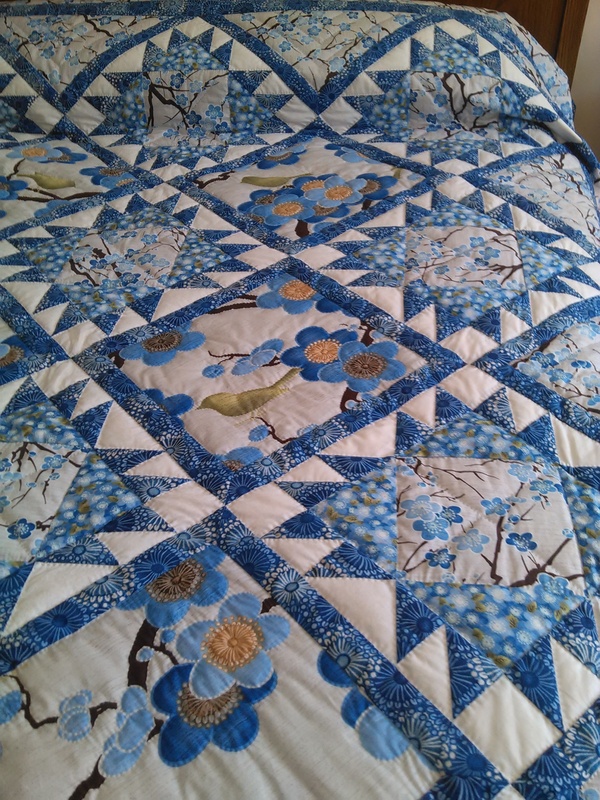 Diane S. shared her quilt from a pattern in Quilter’s Newsletter magazine from February/March 2014 using Kona Bay’s Tomorrow Morning Collection in blue. 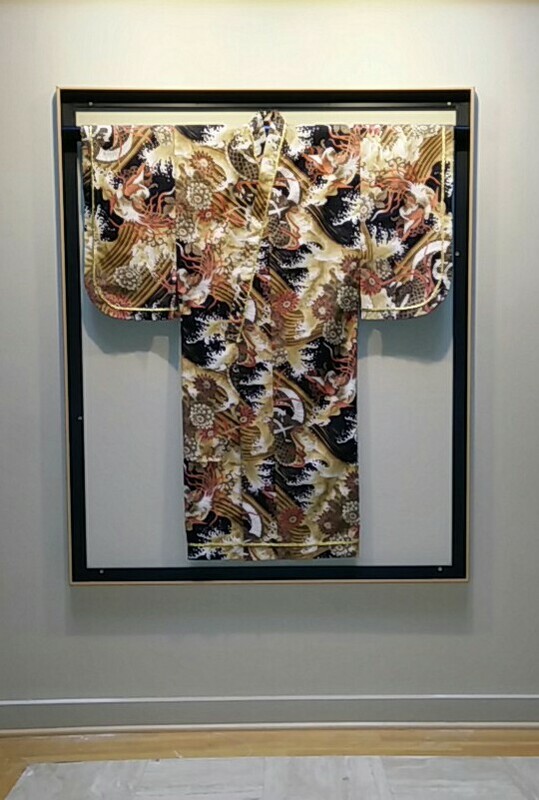 Linda R. shared a gorgeous kimono made from Kona Bay’s Lair of the Dragon Collection. Do you have something to share? Let me know and I’ll post it here. etsyfabricHappi BabiesprojectsQueen Bee EssentialsquiltingsewingShow Your Work!